Brussels — December 7, 2018 … The American Jewish Committee (AJC) praised the Council of the European Union unanimous adoption of a statement on combating anti-Semitism across Europe. It is the first time the Council’s 28-member states have passed a comprehensive measure aimed at coordinating counter anti-Semitism actions and to assure the safety of European Jews. In its declaration, the EU Council acknowledges that Jewish communities in some European Union countries feel particularly vulnerable to lethal terrorist attacks, following an increase in violent attacks in recent years. It notes that anti-Semitic hatred remains widespread, as confirmed by the E.U.’s 2018 Fundamental Rights Agency report on anti-Semitism. “The EU has taken a historic step toward fighting all forms of hatred targeting Jews,” said Daniel Schwammenthal, Director of the AJC Transatlantic Institute, the Brussels-based arm of AJC, the global Jewish advocacy organization. The Council Declaration asks member states “to adopt and implement a holistic strategy to prevent and fight all forms of anti-Semitism.” It expresses EU determination to “ensure a future for Jewish people to live with the same sense of security and freedom as all other citizens in the European Union.” And it calls on EU member nations that have not yet adopted the IHRA working definition to endorse it. The World Jewish Congress said in a statement that it worked for several months with the Austrian government and European institutions, as well as the EJC, to draft the declaration. It applauded the council for passing the declaration and called on the EU to appoint a Coordinator on Combating Anti-Semitism. In 2015, AJC convened in Brussels “A Defining Moment for Europe,” a strategy conference on combating anti-Semitism. The Call to Action adopted at the groundbreaking conference was updated in June 2018. Israel’s Prime Minister Netanyahu had requested that the EU adopt the working definition of anti-Semitism issued by the International Holocaust Remembrance Alliance, an intergovernmental organization that was founded 20 years ago. 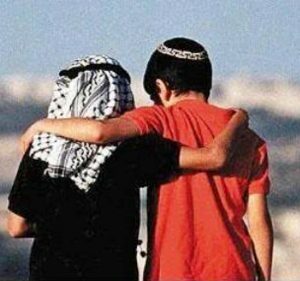 This definition states that some criticism of Israel is anti-Semitic, such as: “Denying the Jewish people their right to self-determination, e.g., by claiming that the existence of a State of Israel is a racist endeavor,” or by applying double standards to Israel not demanded of any other nation. Some EU countries were concerned that this definition could prevent criticism of Israel’s residential and commercial activities in the Jewish state’s biblical and historical land in Judea and Samaria (West Bank). A compromise was therefore reached and the final statement calls on member states to use the IHRA definition as a “guidance tool,” without making it obligatory. “This morning the IDF began Operation Northern Shield, the goal of which is to uncover and neutralize terrorist tunnels from Lebanon. We are proud of the fighters and commanders of the IDF for the complex actions and operational successes already in the early stages of the operation. Whoever tries to attack the State of Israel – will pay a heavy price. Netanyahu just returned from a diplomatic-security meeting with US Secretary of State Mike Pompeo in Brussels. The Prime Minister updated the US Secy. of State on Operation Northern Shield and said that the intrusive tunnels built by Hezbollah are a gross violation of Israeli sovereignty and of UN Security Resolution #1701. Netanyahu also said that Iranian aggression had to be thwarted in Syria, Iraq, Lebanon and elsewhere. 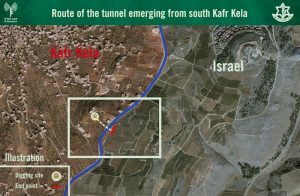 The IDF on Tuesday uncovered the first cross-border Hezbollah tunnel from a home in the south Lebanese village of Kfar Kila some 40 meters into Israeli territory outside the town of Metulla. It was the first tunnel that the IDF said it had discovered as part of Operation Northern Shield. 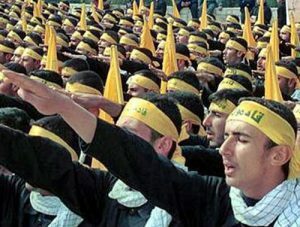 The IDF said it took Hezbollah two years to build the 600-foot-long tunnel, which had been dug through solid rock into Israel and built some 80 feet underground and was six feet wide and six feet tall. The terror tunnel had electrical and communication lines as well as ventilation. Operation Northern Shield will be led by IDF OC Northern Command Maj.-Gen. Yoel Strick and will include troops from the Combat Engineering Corps, the Intelligence Branch, as well as the Defense Ministry’s Administration for the Development of Weapons and Technological Infrastructure (MAFAT). The Israel Defense Forces stated that a number of areas close to the security fence with Lebanon, including the community of Metulla, have been declared a closed military zone and that it has reinforced troops in the Northern Command ahead of all possible scenarios. While the IDF stressed that it is prepared for any escalation with Hezbollah that could stem from the operation, there are no special instructions for the residents of the North. The IDF updated the heads of local authorities overnight and will continue to be in contact with them throughout the operation. “We are in full control of the situation and are determined to remove the underground Hezbollah threat from the northern border. The tunnels do cross into Israeli territory, but the work on them was not complete,” the spokesman said on a call with reporters. According to Manelis, the Lebanese government is responsible for all that occurs on Lebanese soil and the digging of the tunnels shows that the Lebanese Armed Forces (LAF) is not capable of controlling what occurs in southern Lebanon. he could surprise Jewish civilians.